Norm Praet (General Counsel) is a partner with Brownlee Whitlow & Praet, PLLC in Raleigh and has been affiliated with the apartment industry for 16 years. With TAA, Norm has been an active member of the Government Affairs Committee and the Independent Rental Owners (IRO) Planning Committee. 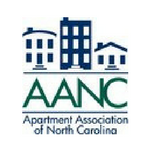 Norm also sits on the Board of Directors for the Apartment Association of North Carolina (AANC), and on the Legislative Committee of the National Apartment Association (NAA). Prior to moving to North Carolina in 2007, Norm was active in the New Jersey Apartment Association and the Metropolitan Real Estate Investors. In his spare time Norm coaches soccer with his son Daniel and is an active Y-Guides tribe member with his daughter Hannah.